It’s the last update in January! I hope the start to 2016 was good for you and those resolutions are still intact. We’ve already got hearts in our eyes for Valentine’s Day, as you’ll quickly see when you come visit! The shop is delacately adorned in pink tissue flowers, professions of love hang from banners and cards. 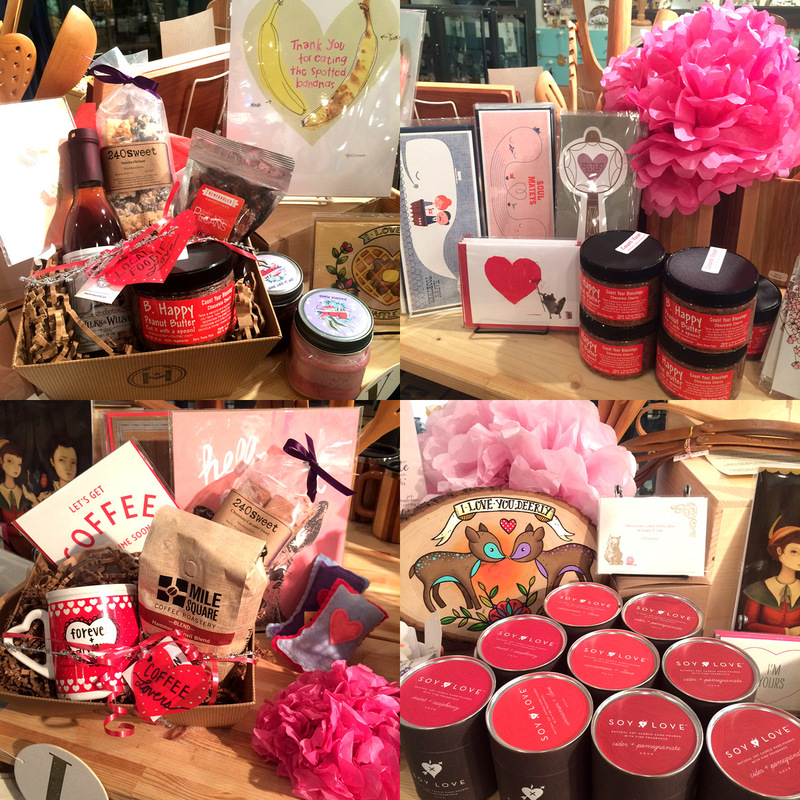 This is the place to find truly unique gifts with love built right in for your sweetie. And is anyone else dreaming of spring? 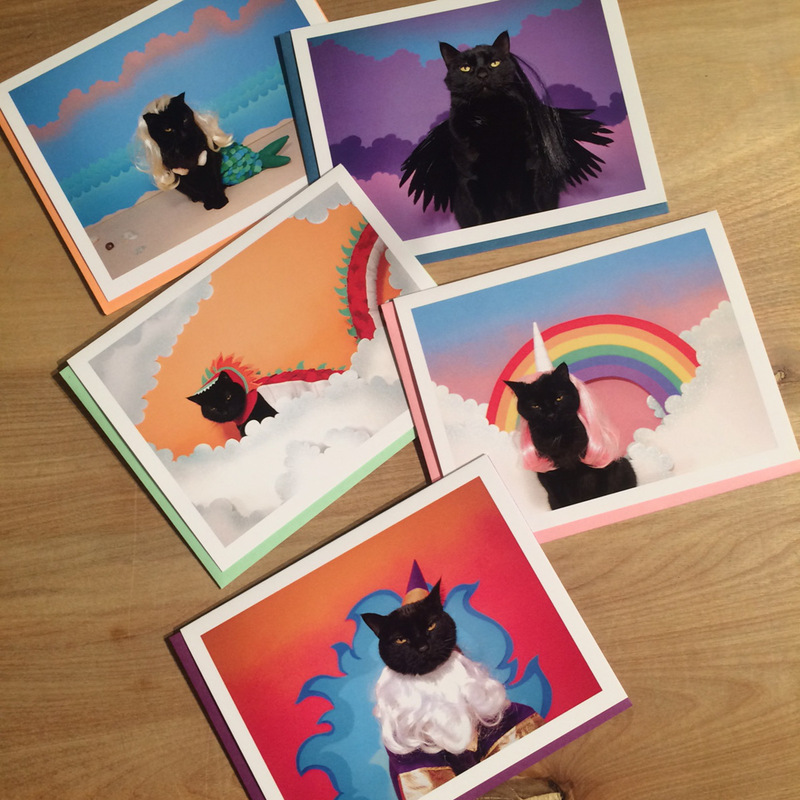 New Magical Boxed Set by Kate Funk. Poor AC. 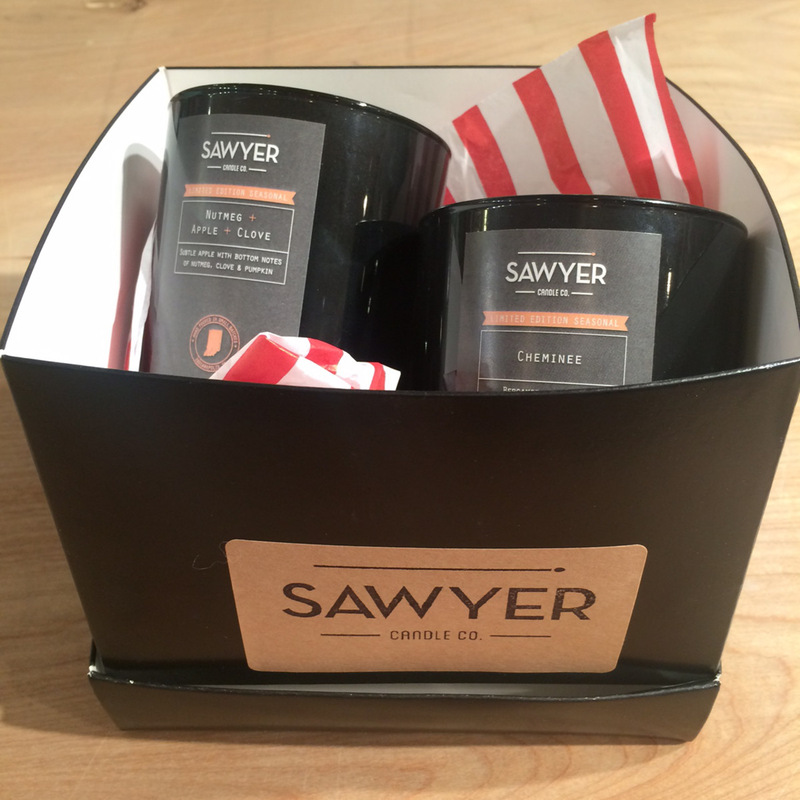 Sawyer Candle Co. has these great little boxed sets, perfect for gifting! Just in from Daisy Mae Designs, wine stoppers and bracelets. We have Evansville and Bloomington, too! 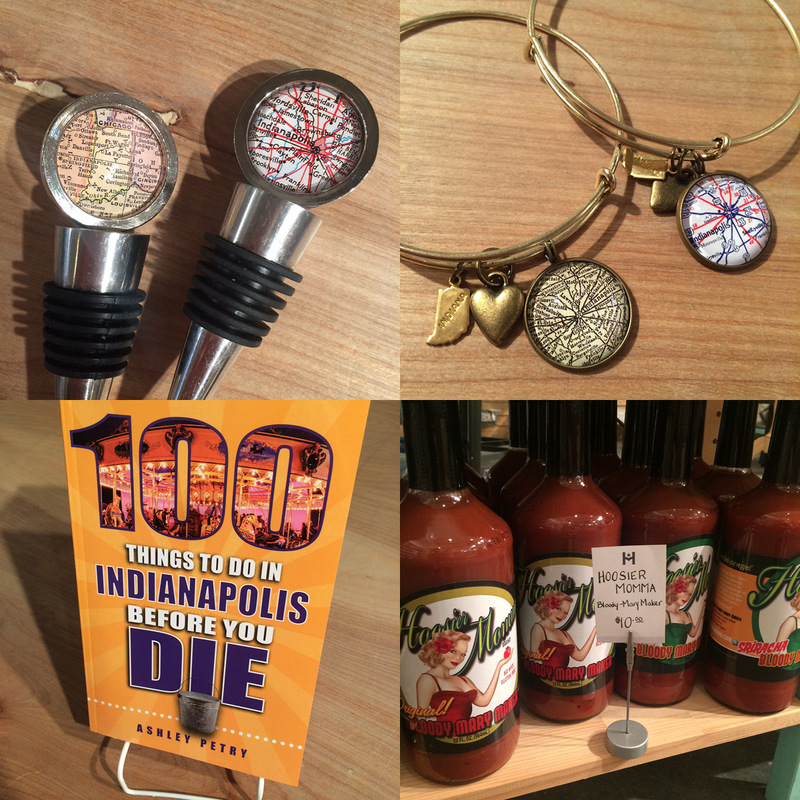 Restock of 100 Things to do in Indianapolis Before You Die by Ashley Petry and more Hoosier Momma for those bomb Bloody Mary’s. 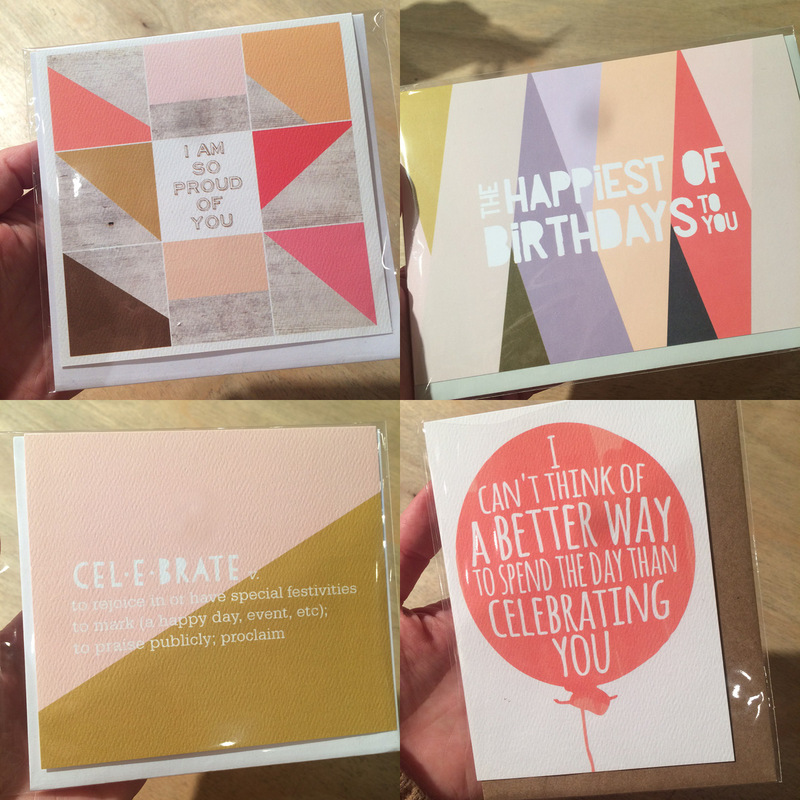 Lots of beautiful new cards just in from Haven Paperie. 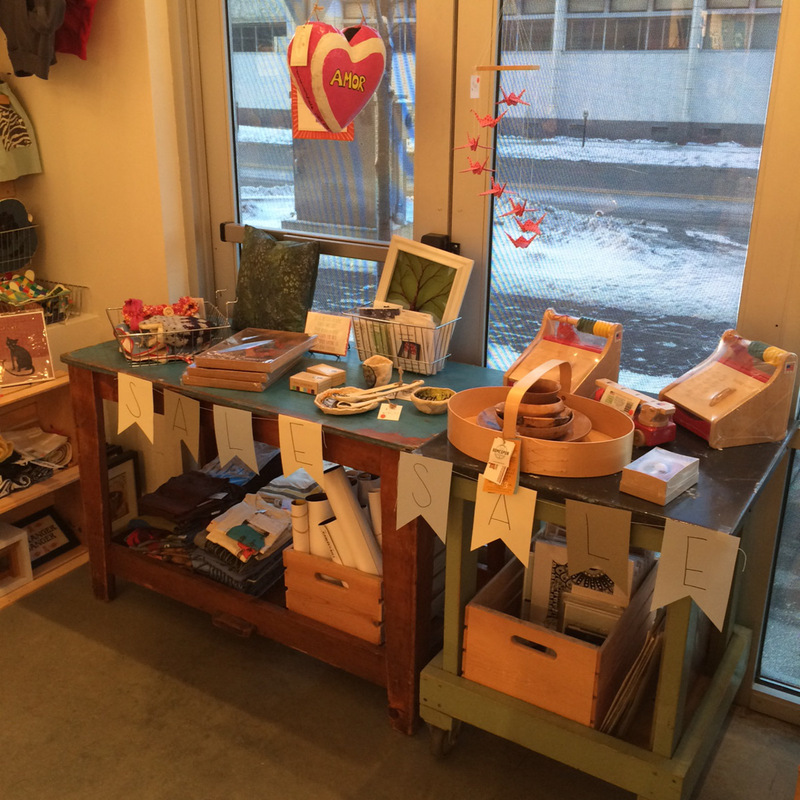 Our shop, covered in love! 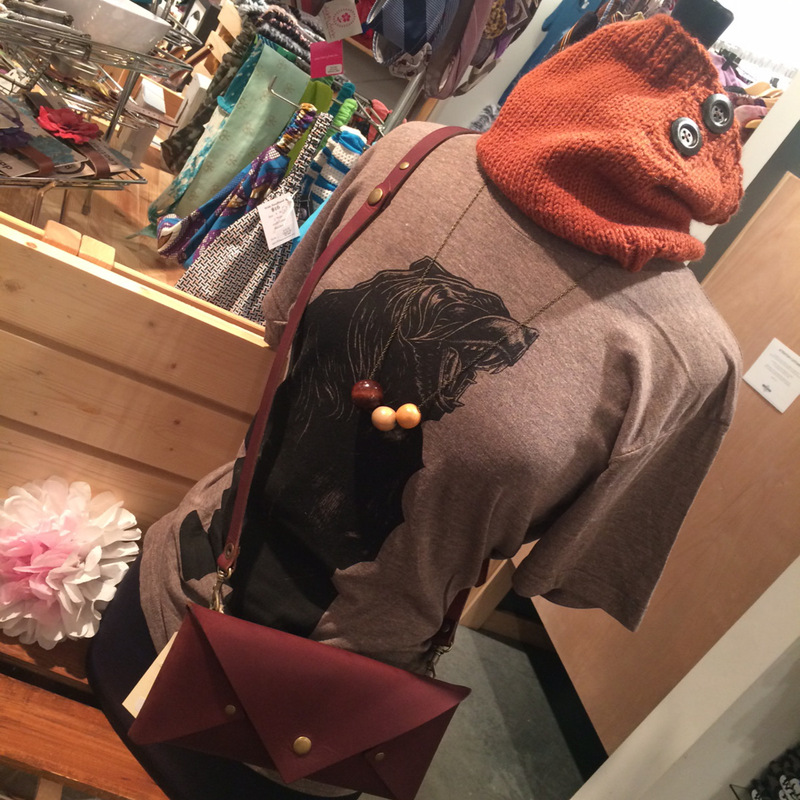 Right now we’re wearing a sweet bear tee from The Bungaloo, cowl by Lindsay Streem Designs, necklace by The Grey Theory, and thick, lovely leather bag by LM Products. Stylish, cozy, an accessorized! 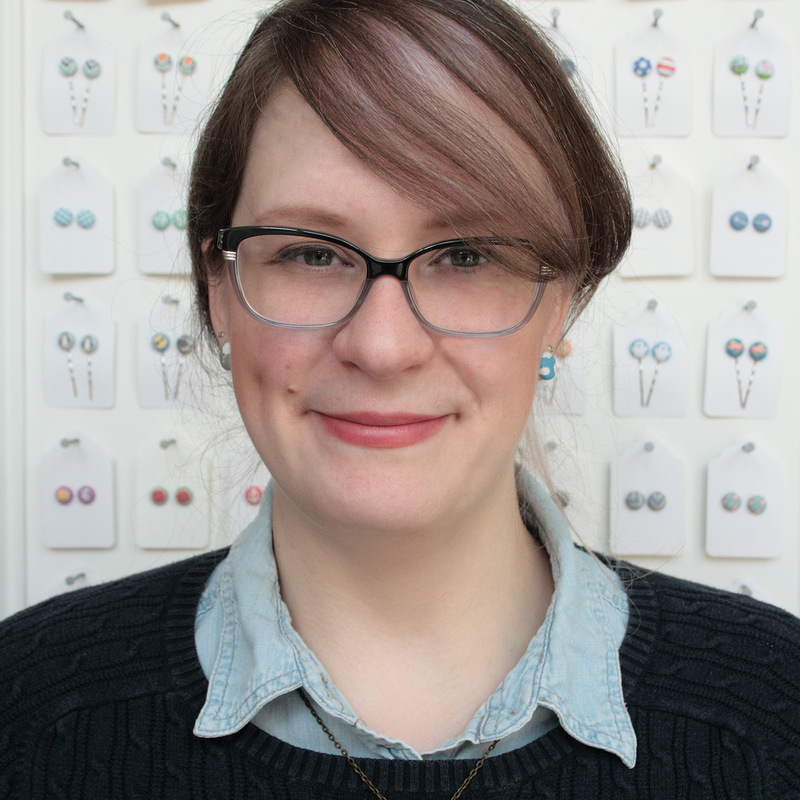 Rachel Ourada is the fabulous Rachel behind Rachel O’s Fabulous Whimsy (say that 10 times fast!). She’s lovely and funny and used to be a boy scout (ahem, read on…). 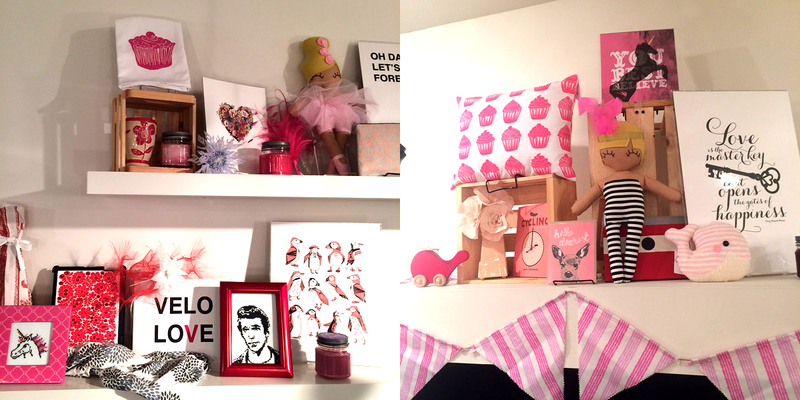 Take a look at her adorable little pieces of art and learn a bit about this creative lady! How do you describe your work to people who don’t know anything about crafting/art? 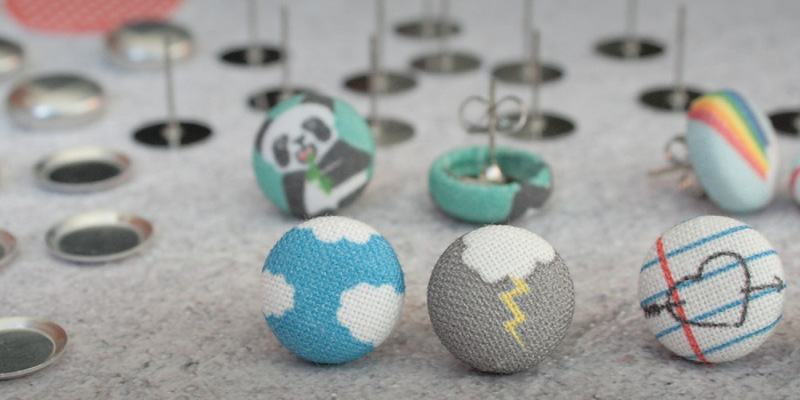 I design and create original fabric button jewelry. 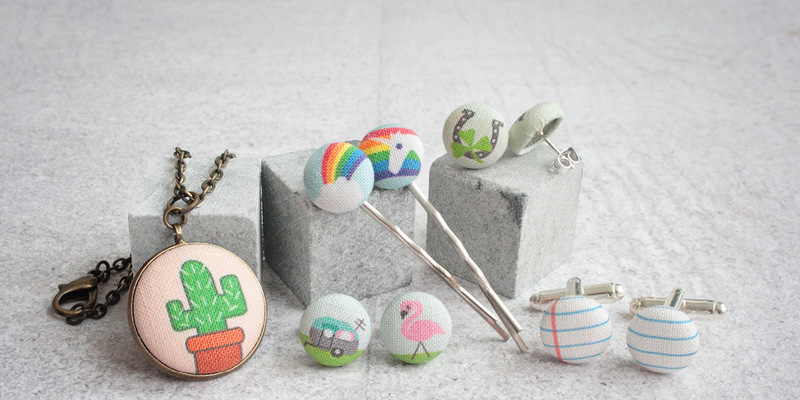 I design my own fabric and assemble every piece of jewelry myself. 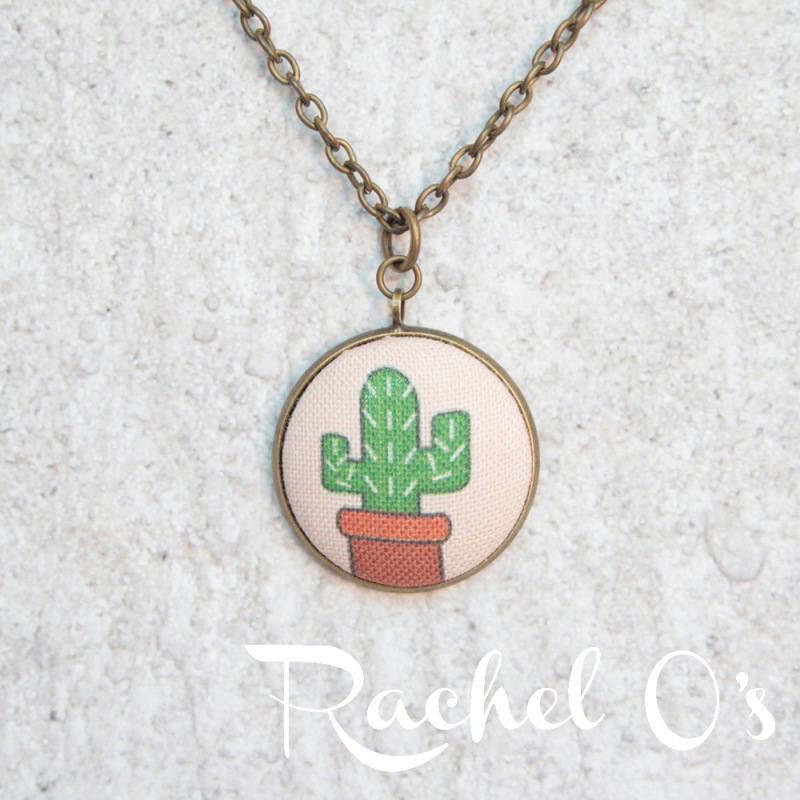 I like to think of my jewelry as teeny tiny pieces of art that people can wear. All my pieces are original and not to be found from anyone else. Why do you make/design things? I am a non-stop creative individual. I create things because I want to see them in the world. If I want something that does not exist, I have to make it happen. I create and sell my jewelry full time. Being a full-time maker is very similar to any other full time job. The exception is that I get to connect with so many wonderful customers. I love helping someone find the perfect gift or the last touch to a wedding or special event. No! I actually went back to school to get my MBA. I graduated and started working as a brand manager for a local business. After working there for 5 months, my Etsy store which I had started for fun, was showing real potential. I was totally shocked and excited. I made a plan, and switched to working for myself full time. I almost didn’t believe it would work, but I’ve been working on Rachel O’s full time for 2 and a half years now and it’s going better than ever! I LOVE working from home. I don’t think that I will ever have a separate studio location. I live in a former substation. The open industrial space may not seem like a traditional home, but it makes for an excellent live/work space. Working from home means that I have a fuzzy little cat assistant who keeps an eye on my every move. It also allows me to get day to day things like laundry and baking done in between making sessions. I’ve read Jonathan Adler’s design books and if I could live in his home, I would be so happy. His style is just amazing and something I aspire to. A handmade object carries with it all the creativity and talent of the maker. When you buy handmade, you are supporting a real person. It’s a connection that you don’t get from buying mass-produced goods. My dad made me a side table from a repurposed turn of the century sewing machine stand. He restored the iron base and gave it a new walnut top. It’s totally unlike anything else, and it means so much that he made it for me. I was a boy scout in highschool. I was part of a teen art group and if we all joined the boy scouts they said we could use power tools. I don’t know what the logic of this was, but we all got membership cards (even us girls) and none of us ever earned a badge. I live in a repurposed sub-station in Omaha, Nebraska. It was built to supply power to the neighborhood in 1927. I married my high school sweetheart. We met at 17 and married at 24, and are still going strong. I collect vintage Better Homes and Gardens mini-cookbooks. I love seeing how entertaining has evolved since the 50s. Most of the recipes are un-makable due to being horrifying or including impossible to find ingredients, but the photography is amazing. 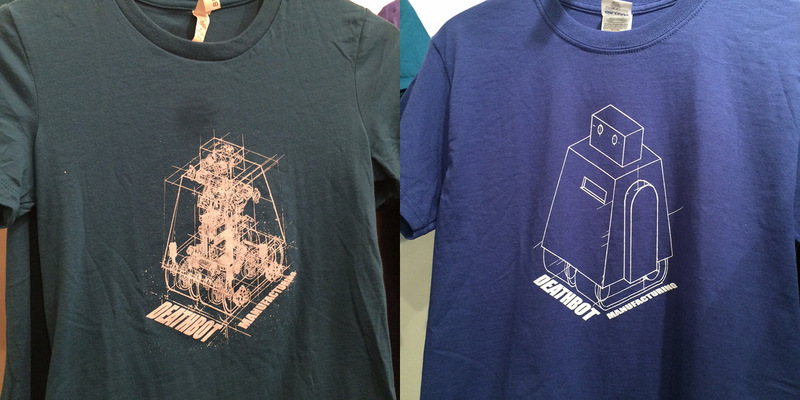 How often do you come up with a new design? I add new designs every few months. It’s a time consuming process between a good idea and a finished piece. I just finished up a few holiday designs in time for Halloween, Thanksgiving and Christmas. 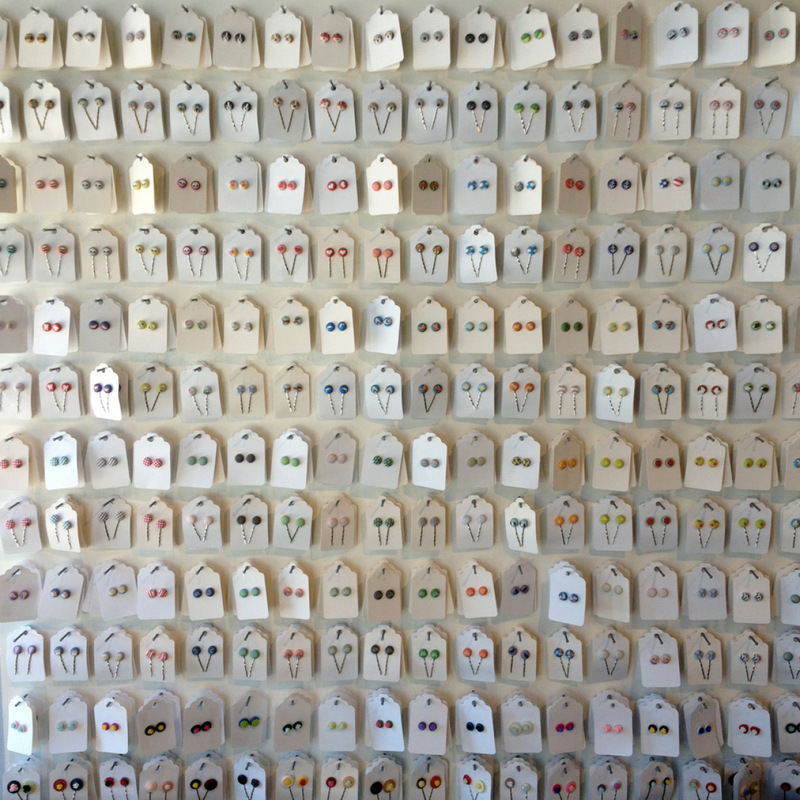 Were you looking for turkey earrings? I have them. Do you do custom orders? If so, tell us about one of your favorites. I don’t get to do many custom orders because I can’t make 1 inch of fabric at a time. I DO take requests. If it’s something I can draw and I think that it can be reasonably popular, I’ll give it a shot! How many different designs do you have to date? 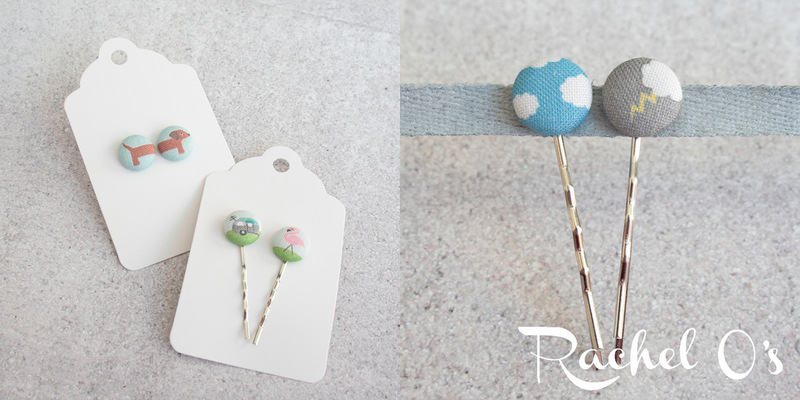 I have almost 250 different designs for earrings and hairpins. I don’t ever plan on stopping! 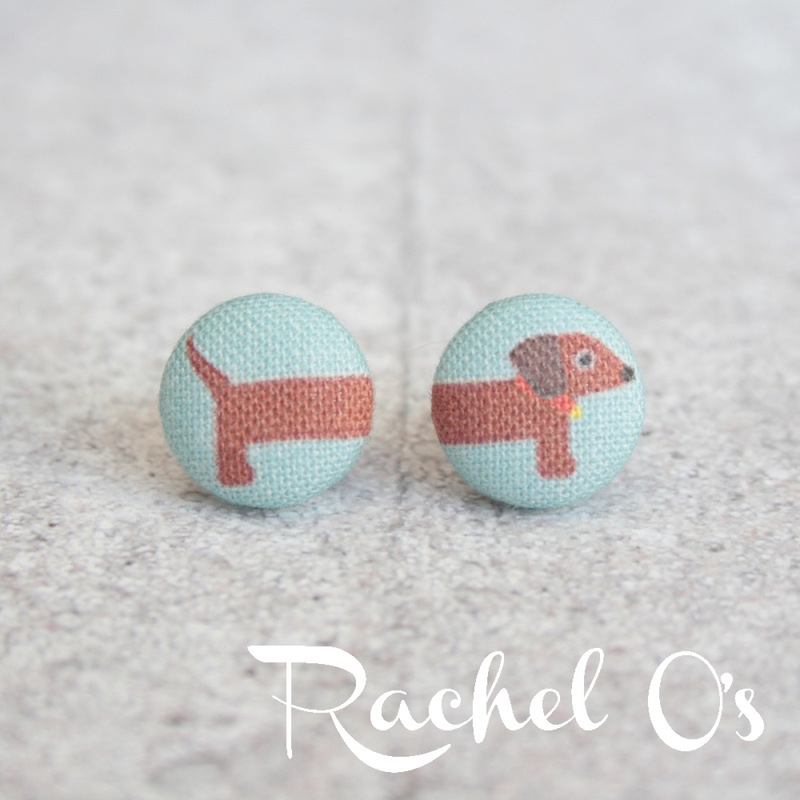 You can many more of Rachel’s designs on her Etsy shop or on her blog. If you love her work as much as me, follow her on Instagram and Facebook. It’s been a while since our last This Week at the Shop update, which is why this week is one MEGA post. I’ve got so many new things to share with you! I think we’re all taking a breather from the holiday buzz, amIright? I’ve been huddled up inside, enjoying being anti-social, warm, and quiet. It’s been nice to get everything back in order here at the shop, too. 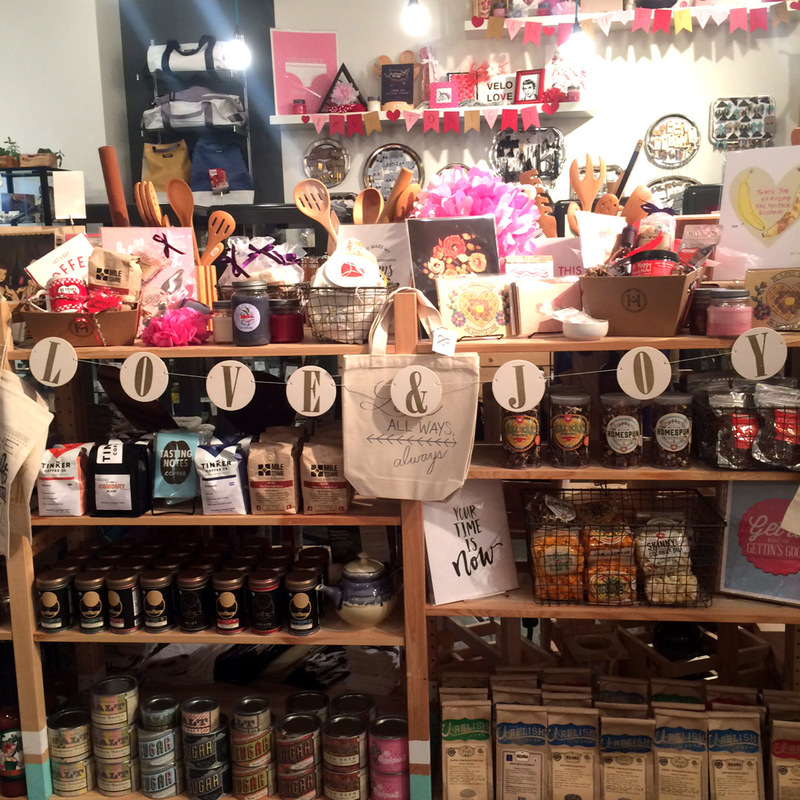 Our shelves and displays are pristine, and we are all rested and ready to welcome you! 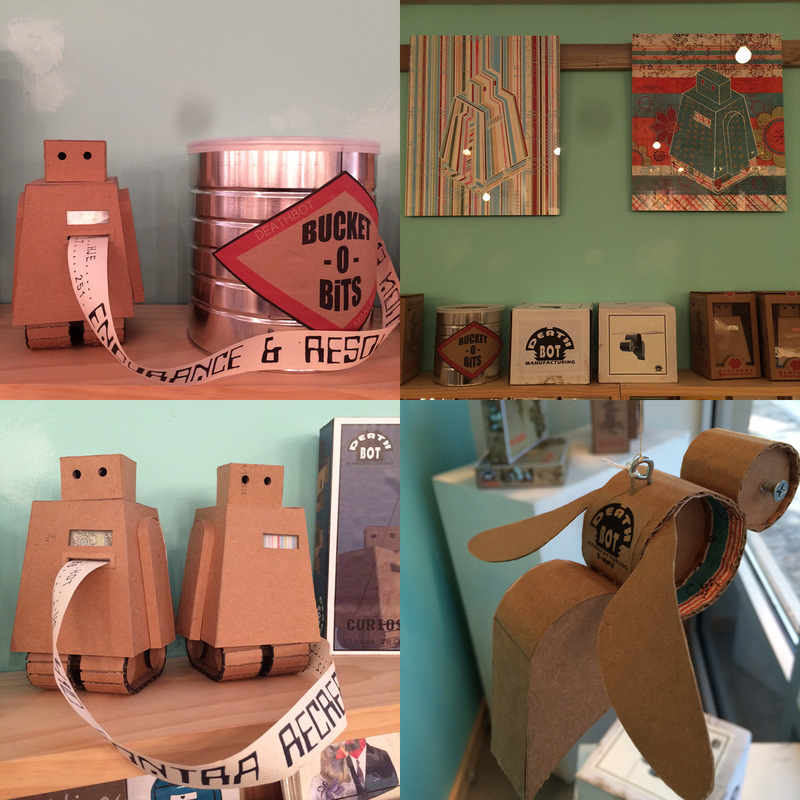 If cabin fever is starting to set in, come grab a delicious hot chocolate from Best Chocolate In Town and spend some time browsing our beautiful heartfelt handmade goodies. We’d love to see you! Ahhh… a warm bath with one of these babies would be just divine. 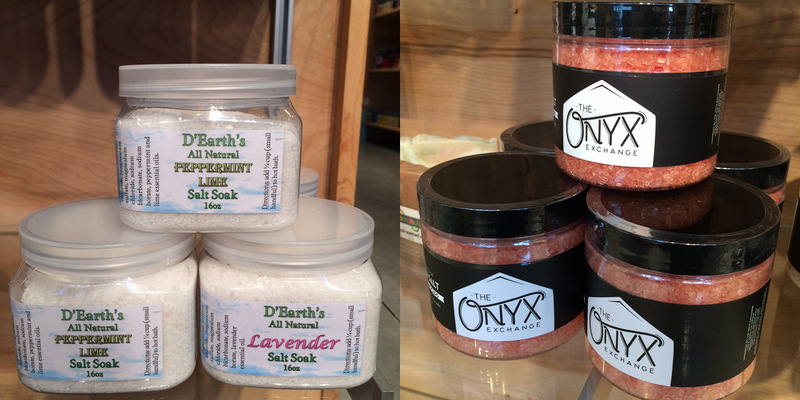 Bath salts restocked from D’Earth’s All Natural and brand new from The Onyx Exchange! Eating is important during the winter to ensure body warmth. 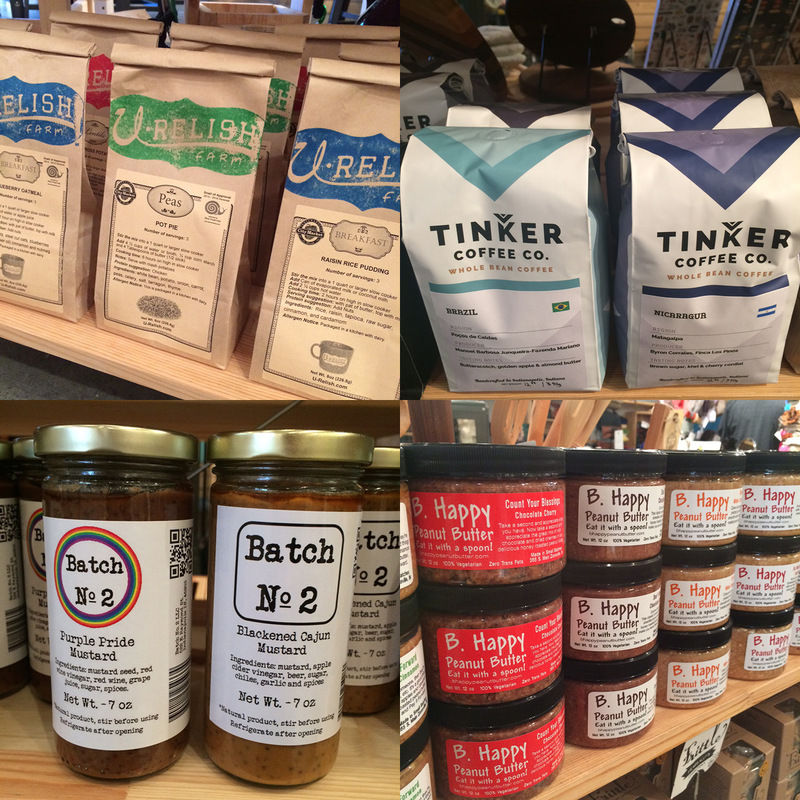 We have lots of local delectable goodies like crock pot meals from U-Relish, coffee from Tinker Coffee Co., Batch No. 2 mustards, and lots of B. Happy Peanut Butter including their new flavor Count Your Blessings a.k.a. Chocolate Cherry. 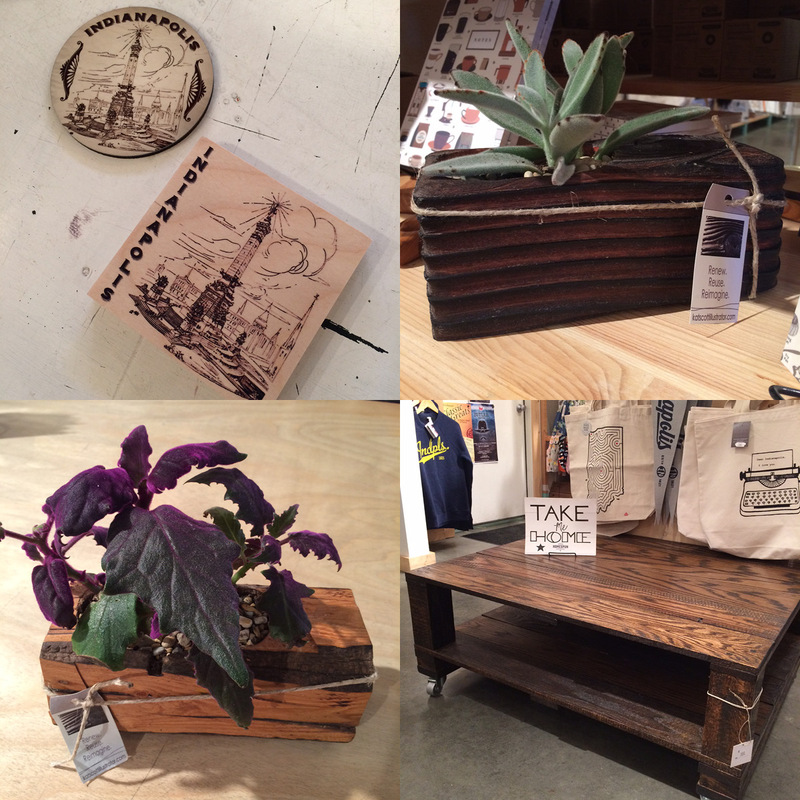 New Indiana coasters by Decorative Design Works and planters by RE: Katherine Scott. Also, look at this amazing coffee table on wheels! Handmade by Purposeful Design. 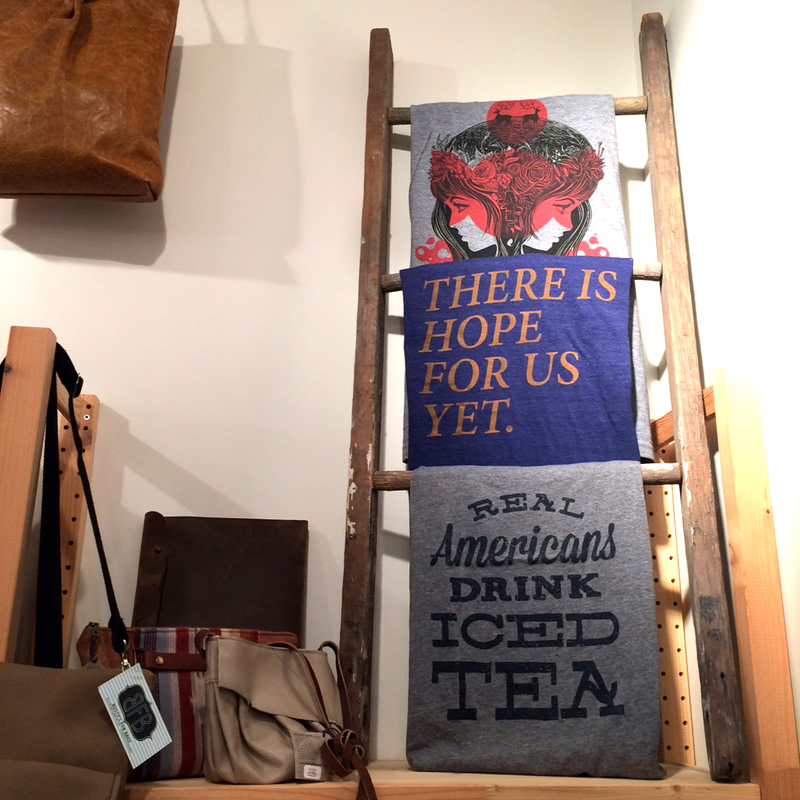 Loved this new ladder display for our fantastic tees! 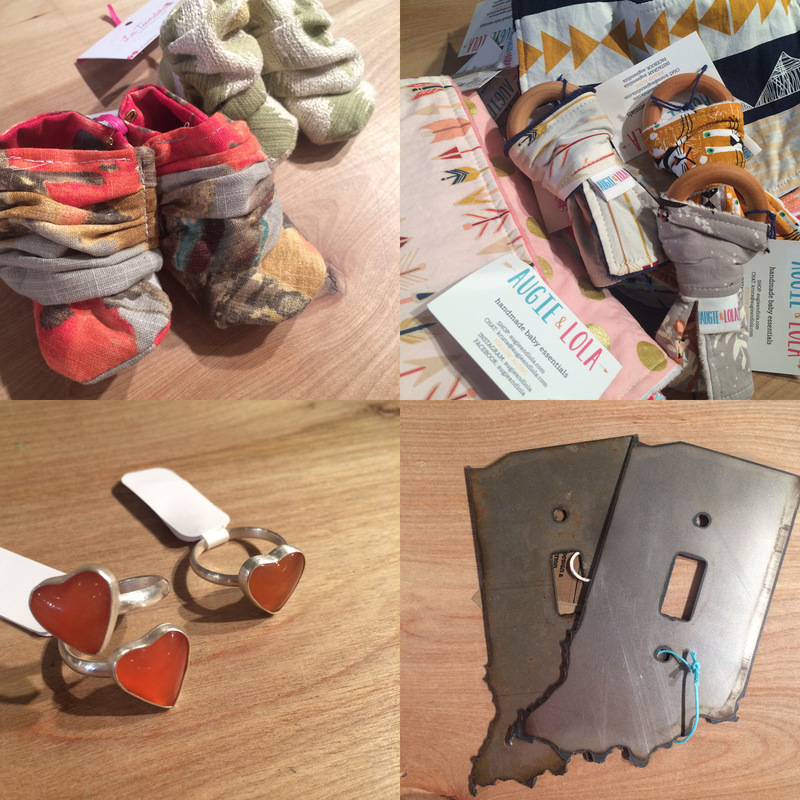 Adorable new baby booties by La Tienda, lots of expertly chosen patterns in these new baby items from Augie & Lola, heart rings by Mark Lisota, and sweet Indiana switch plates by Pittman Design and Fabrication. 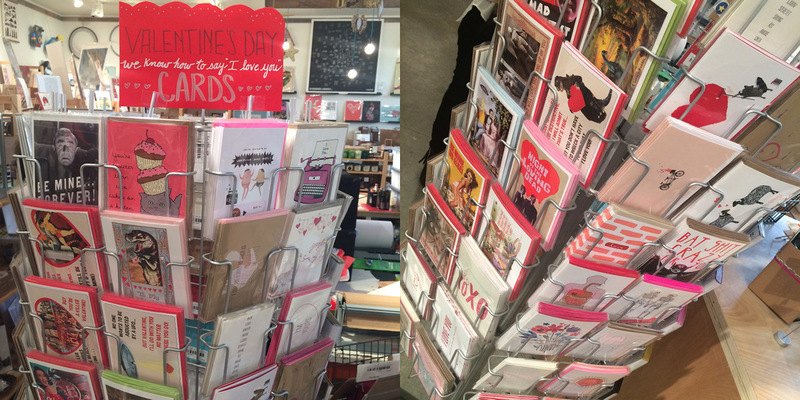 Valentine’s Day card shopping is a cinch! Check out our rack. More wonderful love-filled items: inlove tee from Hoosier Proud with a tagua nut necklace by Veronica Riley Martens Designs, and flowey pink top by Victrola with necklace by Black Crystals. Our displays are on point for February! 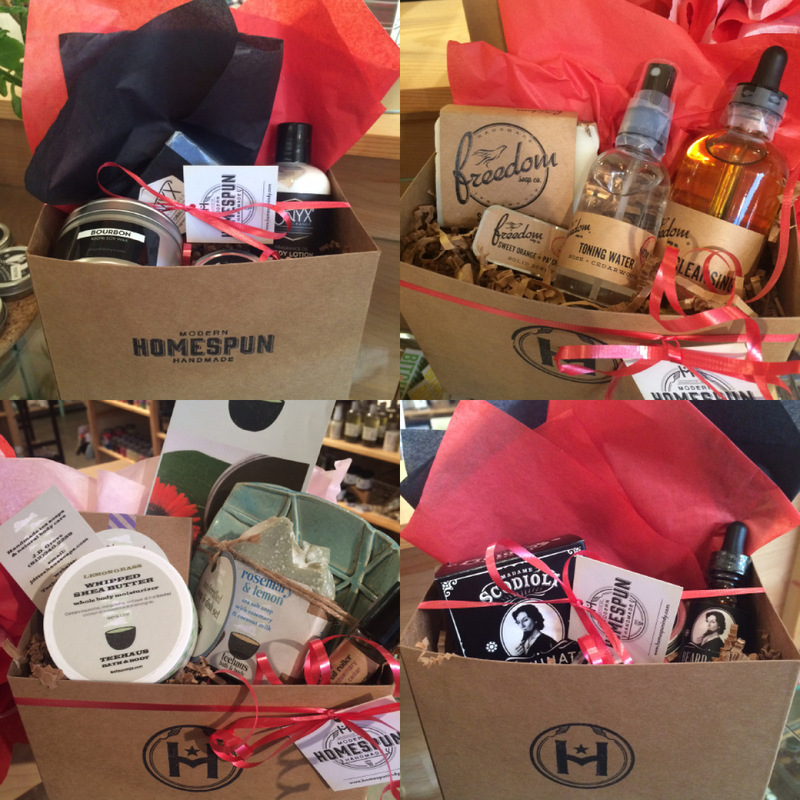 We also have these beautiful gift baskets put together that are ready-to-go/ one stop shop/ sure to please! 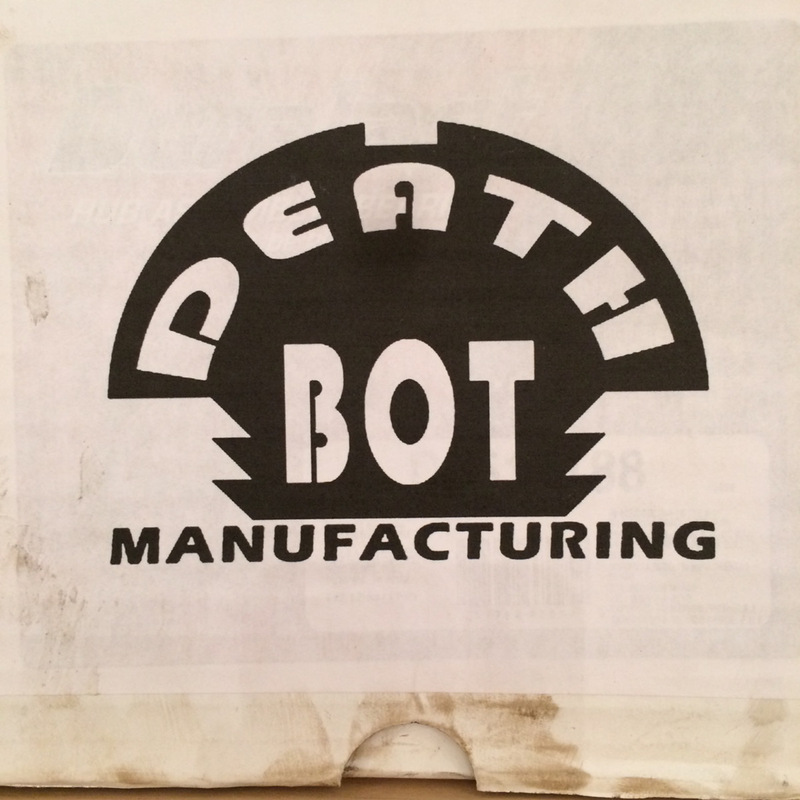 We’re currently featuring the work of Deathbot Manufacturing, work by Jason S. Cavan, in our mini-gallery space and window display! 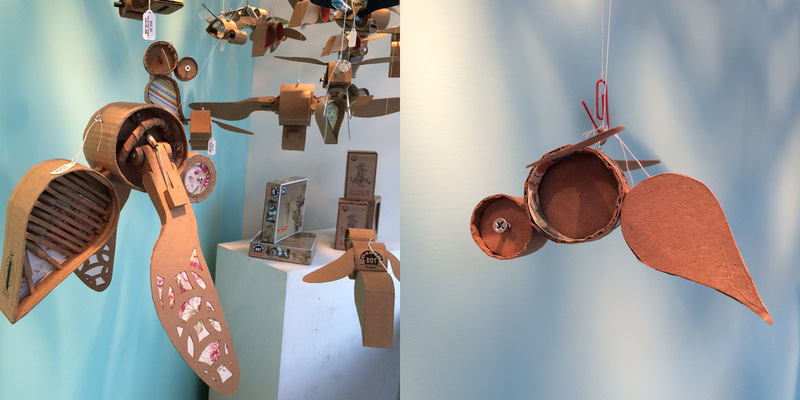 Check out this amazing cardboard sculpture and print work. New, improved, expanded, and on sale! Whew, that’s all! See you next week, friends!